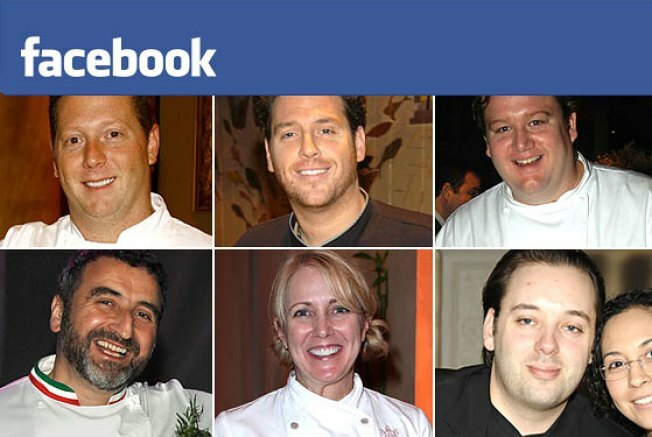 Which Chefs Are Your Facebook Friends? Let's take a look at the A-list of FB, shall we? Sample status: William finds Michael Jackson's version of "Santa Claus Is Coming to Town" slightly creepy. Sample status: David is moonshining. Sample status: Franklin is drafting menus and writing recipes. Sample status: Nikki &hellip; Chik-Fil-A, here I come! Sample status: Cesare is starting a bean diet! Sample status: Jimmy Bradley asks you to join the harrison group. Sample status: Just got a pre-opening massage at the bar from our bartender/sommelier extraordinaire Joey. So good! Going to sleep w my new pink teddybear in a purple tinkerbell shirt made for me by Camy. My bed is a zoo. Sample activity: Waldy completed the quiz HOW FREAKY ARE YOU? with the result You are A Sexual God/Goddess. Interests: Fishing, fishing, and more fishing. Status: George just made a pimped out version of arroz con pollo. Pichet is getting duck & noodles at noodle town. Did we miss someone? E-mail us!